New Jersey based dancehall recording artist Patrick Mullings more popularly known as "Conflict" will this week visit the island to shoot the highly anticipated video for his hit single "How Can This Be" featured on the "Like Me Riddim" from UIM Records. The video which will be directed by Chris "Icey Jace" Campbell Of Icey Jace Film Factory will be shot over a two day period at several locations in and around Kingston. 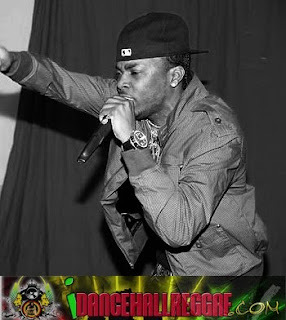 The new video is expected to officially introduce Conflict to the local entertainment fraternity as the deejay is already making strides in the states performing just recently at a concert headlined by the "Swagg Dag Didi" himself Mr. Lexx . With CTS "Chart Topping Single" written all over the project, local T Shirt design company I LOVE JA wasted no time in coming on board as sponsors providing several Male / Female pieces from there collection to be included in the music video which will be edited by Mykal Cushnie of DSE Media who is known as one of the best in the business. The single from Conflict can best be described as an eye opening social commentary which offers inspiration to listens while providing them with useful tips on how to prosper in a world jealously and greed. Conflict who is managed by Damarco Production based in New York is also making waves with another new single for the summer entitled "Own Up Yuh Man" on the Billboard Riddim from PayDay Music . A native of Annotto Bay St. Mary Conflict is confident the mainstream doors of Dancehall will open for him in 2010.